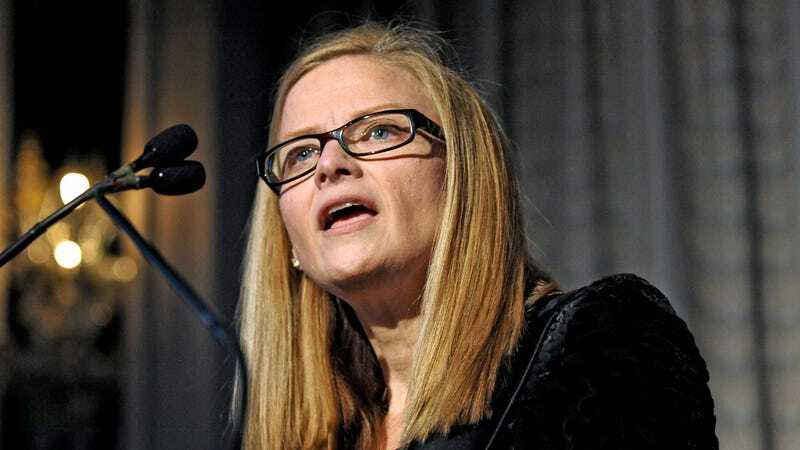 Wells Fargo executive Carrie Tolstedt will receive a $124.6 million payday when she retires at the end of this year, despite overseeing the department accused of scamming millions of customers and incurring hundreds of millions in fines. On Thursday, Federal regulators slapped Wells Fargo with $185 million in fines after discovering that employees were guilty of regularly inflating sales figures by opening new accounts and transferring money from customer accounts without their expressed permission. The scam—known internally as “sandbagging”—was part of standard operating procedure since at least 2011 and was regularly used by employees to boost sales figures. Employees opened unauthorized accounts and transferred money from customer accounts without expressed permission. Victims of the scam were forced to pay ghost charges of about $50 in fees they were not responsible for creating. Wells Fargo collected an estimated $2.6 million in fees from customers through the scam. The Consumer Financial Protection Bureau (CFPB) discovered more than 5,300 employees had been fired since 2011 for “improper sales practices” that included transferring customers’ money into new unauthorized accounts. The CFPB also discovered that Wells Fargo employees regularly signed customers up for credit cards, online banking, and activated debit cards without their permission. The CFPB slapped the bank with a $100 million fine (in addition to fines from other federal regulators). Despite being hit with huge fines, Wells Fargo is not admitting misconduct or punishing any of its executives. As Fortune reports, Wells Fargo had created “clawback” provisions shortly after the 2008 financial crisis to hold employees accountable for this type of misconduct. The point of the provisions was to prevent banking executives from receiving huge paydays if (or when) they were found to be responsible for illegal behavior. Tolstedt, for her part, has been relatively quiet about the practice of sandbagging. She has not confirmed whether she knew about the widespread impropriety, and it’s unlikely that she’ll ever speak up about the matter. When she leaves later this year, she’s expected to earn a $1.7 million salary and $124.6 million in stock and Wells Fargo shares. We’ve reached out for more information about Tolstedt’s payday and the timing of her retirement announcement. We will update this post if we hear back.